Extreme Colouring: Amazing World is action-packed with challenging, complex and advanced scenes that will keep you entertained for hours. Inviting you to relax, unwind and practise mindfulness, as well as encouraging and inspiring you to discover your inner artist, this extreme book of high-quality illustrations is like no other adult colouring book on the market. Taking inspiration from amazing places and locations around the world, this exciting, and expertly designed DIY art book will help you create your own advanced art masterpieces, one splash of colour at a time. 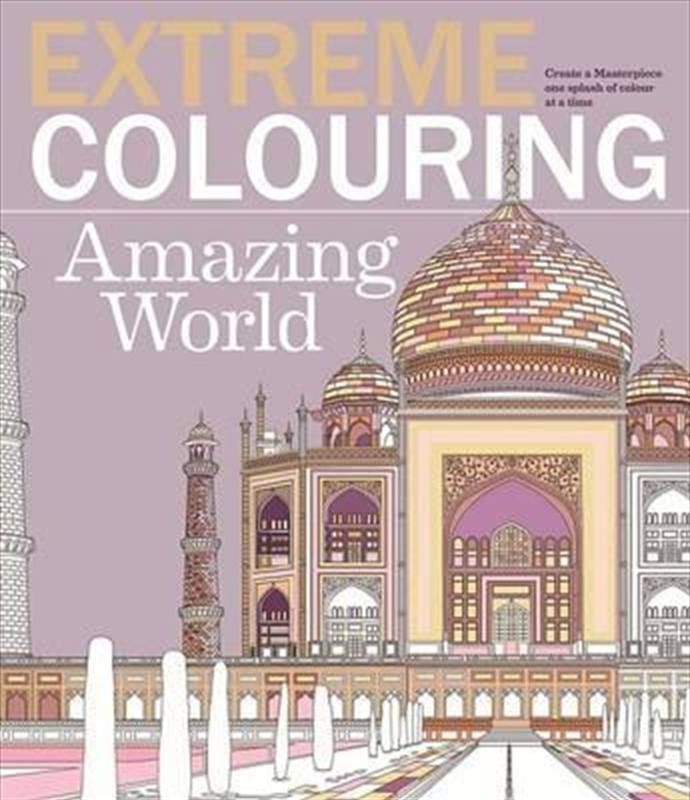 With lots of thought-provoking and complex illustrations to inspire your imagination, Extreme Colouring: Amazing World encourages you to live life in glorious colour.